North Lyon County Fire Protection District Chief Scott Huntley said during his Coffee With the Chief event March 11 that he would be a proponent for the creation of a special tax district to fund Emergency Medical Services. 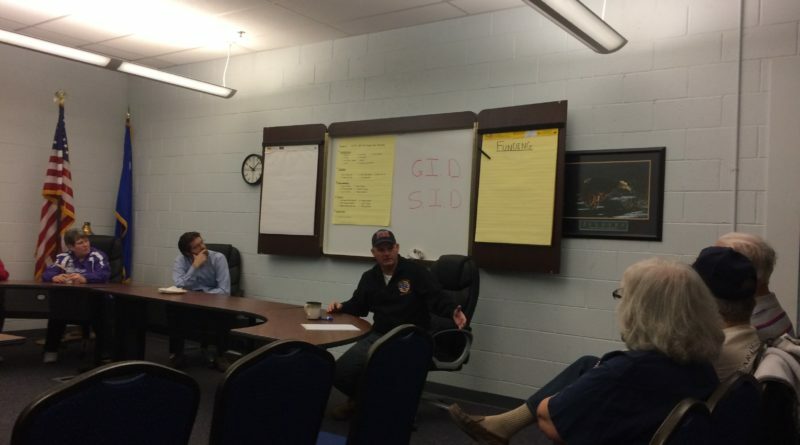 About 15 people attended the Coffee With the Chief event at the fire station March 11, where Huntley talked about the district’s finances, his desire for additional staff and volunteers and its upcoming plans to purchase new apparatus. Huntley began the discussion by saying the district is doing pretty well financially, but he said he is pushing for 1 or 2 new staff members during planning for next year’s budget. Huntley said the district had about a $400,000 shortfall when he was hired chief, but is now on solid financial ground. However, he said his concern is the ability to continue to provide the district’s current level of service as the community grows. Fire Chief Scott Huntley talks with residents at Coffee With the Chief March 11. Huntley said the district is working to purchase two new vehicles – a new command vehicle and a Type 6 wildland fire engine. In the past year, the district has purchased a new brush truck and ambulance. In the case of the ambulance, Huntley said the district purchased the chassis and mounted the ambulance box on the frame. When that chassis wears out, he said, the box can be remounted on a new chassis, allowing the district to replace it at a much lower cost. The brush truck was purchased using funds earned by sending firefighters to out of state wildfires and with revenues from plan checks and inspection fees. “Our current tax base wouldn’t support us buying apparatus,” he said. Huntley said the Bureau of Land Management currently owes the district $179,000 for wildfire support. Huntley said the district can get the Type 6 engine for about $90,000, and save money by installing rear pumps on it themselves. “Other departments pay $160,000 for the same truck,” he said. Huntley said the district routinely saves money by performing maintenance on its own vehicles. “On truck I drive, I change the oil,” he said. Huntley said last year the district ran 2,800 calls, most of them EMS calls. Many of them, he said, are mental health related, and he said he participates in multi-discipline team meetings with Lyon County Human Services and the Sheriff’s Office to find ways to help people with mental health issues. With the defeat of the district’s ballot initiative seeking a property tax increase in the local election, Huntley said the district is looking into other revenue sources. One possibility, he said, is to create a Special Improvement District or a General Improvement District for EMS services. Under state law, local improvement districts are generally formed to provide a source of funding for the construction and/or maintenance of eligible improvements within the district. The law allows the sale of bonds to finance the cost of these new facilities with property owners (within the district) being assessed for their benefited share of the improvements. Huntley said Douglas County has been particularly successful creating GIDs for particular services, and Fernley has a GID for the operation of the swimming pool. 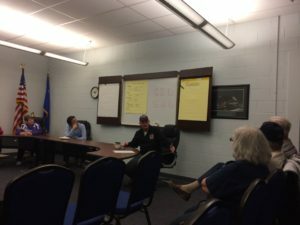 Huntley said he has met with Fred Steinmann, Leadership and Economic Development Specialist at the ‎ University of Nevada, Reno College of Business Administration. “He believes it is feasible to create as EMS SID,” Huntley said. Huntley said creating such a district would be long process involving several public meetings by the County Commission and the Fire District.